A hot-air balloon safari in the Serengeti is one of the once-in-a-lifetime adventures on offer during the Four Seasons Jet Extraordinary Adventures journey. Imagine a journey that takes you sailing along the rocky coast of Lanai one day—spinner dolphins keeping pace at either side of your ship—and climbing to the top of Sydney’s iconic Harbour Bridge the next. One that finds you swimming with schools of colourful fish in the waters surrounding Mauritius on a Tuesday and waking up for a sunrise hot-air balloon ride over the Serengeti on Wednesday. 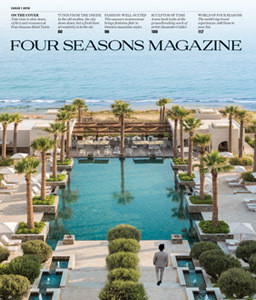 The Extraordinary Adventures itinerary of the Four Seasons Private Jet Experience makes it possible to embark on all these adventures—and more—during a single trip, which delivers guests to eight different countries in 25 days. Start the journey in Austin, Texas, on September 17, 2016, then jet off for adventure-filled stops in Costa Rica, Hawaii, Australia, Malaysia, Mauritius, Tanzania, Morocco and Portugal. Here, we offer a taste of the adventures that await you in the air and once you touch down in each legendary destination. 1. 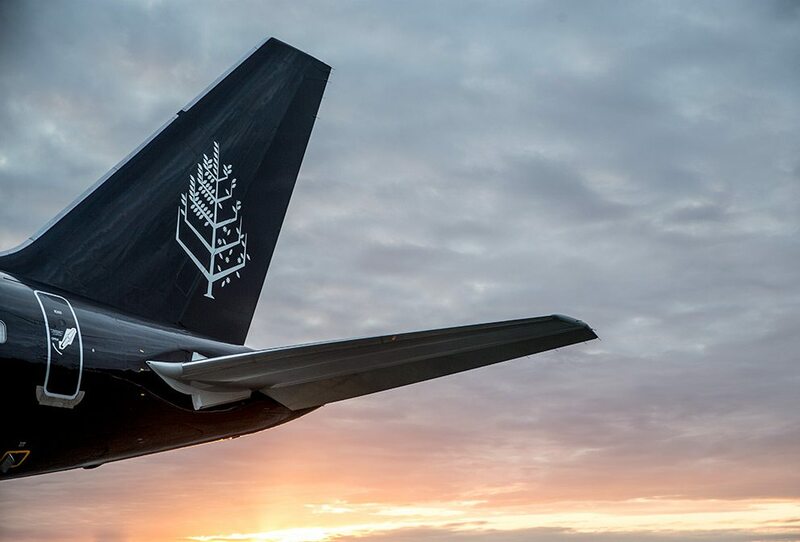 When you travel aboard the Four Seasons Jet—a state-of-the-art aircraft featuring fully customised interiors, innovative technology, five-star dining and renowned Four Seasons service—the journey is also part of the adventure. 2. Begin the trip on a high note when you head on a backstage tour of the Moody Theater, the venue for the PBS concert series Austin City Limits. You’ll be in good hands with Scott Newton leading the tour; he’s been photographing musical artists for about 40 years. But the excitement doesn’t stop there. You’ll also sit in on a live recording and hang out with artists. 3. You may have left Texas, but that doesn’t mean you missed out on a rodeo. Few people get the chance to see Costa Rican cowboys in action. Four Seasons Resort Costa Rica at Peninsula Papagayo will arrange transportation to an old plantation where you can observe all the rodeo action, set to an upbeat mariachi soundtrack. 4. Soar through the trees and get a closer look at local wildlife (think howler monkeys and exotic tree frogs) during a zip line adventure through the jungle. The canopy tour isn’t just thrilling—it’s also one of the best ways to see the rainforest. 5. Learn how to surf at the Tropicsurf school, which is conveniently located at the Resort. Paddle out and conquer the waves at Witch’s Rock and Ollie’s Point, two of Costa Rica’s top surfing spots. 6. 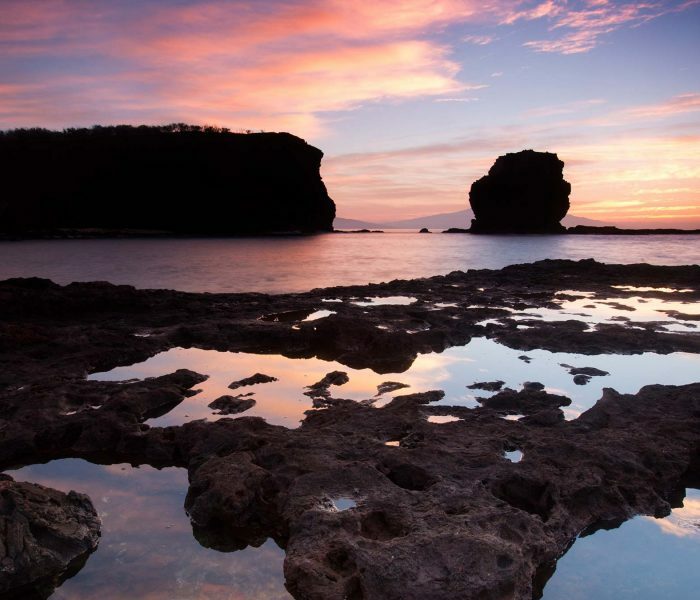 For an exhilarating tour of Hawaii’s smallest inhabited island, take a seat in a Polaris UTV or a Jeep and head off the beaten path. 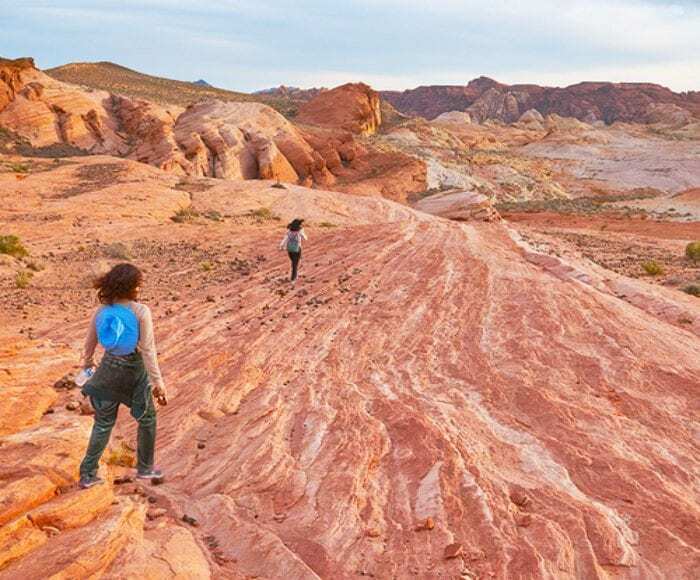 Conquer rocky landscapes and admire cliffside views and ironwood forests. 7. The Manele Golf Course at Four Seasons Resort Lanai puts an adventurous spin on golf. It’s hard not to get distracted by the views of the Pacific Ocean during 18 holes on this course, built on lava outcroppings and featuring three cliffside holes. 8. There are plenty of water adventures on Lanai as well. Paddle out on the water aboard a stand-up paddleboard or kayak for a great workout and a unique vantage point of the island’s rocky coast. 9. Spinner dolphins thrive in Lanai’s tropical waters and travel together in large pods, making it easy to spot these acrobatic swimmers. Venture out on a sailboat cruise to see their playful antics in action. 10. Don’t just look at the Sydney Harbour Bridge—climb it. After you put on special safety gear, the professionals at BridgeClimb will lead you on a walk along the top of the iconic structure, which sits 440 feet (134 metres) above sea level. 11. Take to the sky in Sydney again, this time aboard a seaplane. Fly to and from lunch at Cottage Point Inn, which is surrounded by the beautiful Ku-ring-gai Chase National Park. The 25-minute flight takes you over the Harbour Bridge and the Sydney Opera House, offering spectacular views of the water and cityscape. 12. Now that you’ve toured Sydney by air, board a jet boat to see the city from the water. Jet boats are built to reach high speeds and offer extreme maneuverability, which means that, in addition to incredible views, your tour of the Harbour will include 360-degree spins and just the right amount of splash. Don’t blink—you might miss something. 13. The Kilim Karst Geoforest Park is a natural wonder, with waterways that cut through the lush mangrove forest. 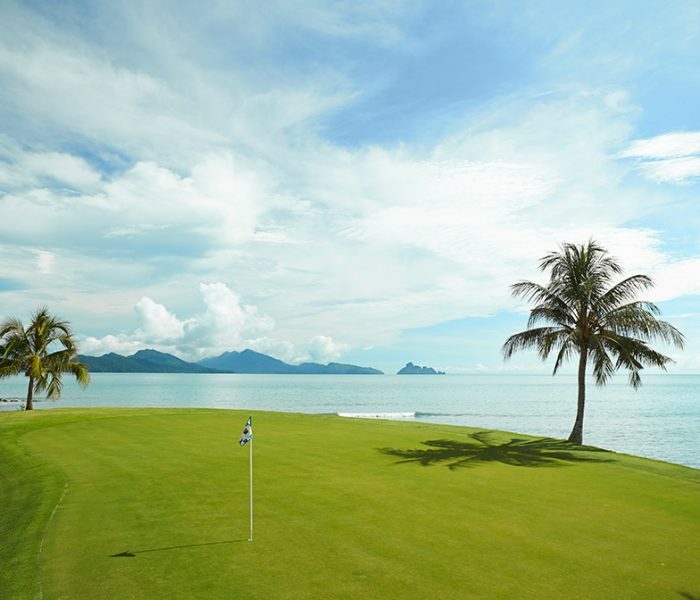 Embark on a Mangroves & Eagles Safari with Four Seasons Resort Langkawi, during which a naturalist will lead you through the park in search of eagles, monkeys, otters, walking fish and more wildlife. 14. Not far from the Resort lies a 40-foot (12-metre) limestone outcrop that’s a perfect outdoor playground for beginners or experienced rock climbers. Walk across the cliff and rappel back during the two-hour excursion. 15. Visit the Resort’s professional archery range and learn how to hold, aim and shoot a longbow. 16. Snorkel in the turquoise waters that surround Mauritius. The crystal-clear lagoon near Four Seasons Resort Mauritius at Anahita protects its delicate coral reef from currents, making it a prime spot for underwater adventure. Scuba divers can also discover shipwrecks and underwater caves nearby. 17. Many more water sports await on Mauritius, including windsurfing, waterskiing, wakeboarding and sailing. No matter what adventure you choose, remember to take in the views of the surrounding islands and mountains as you glide over the waters with the ocean breeze blowing through your hair. 18. For an adventure on land, travel on horseback. Head to the Domaine de l’Etoile reserve, where there are beautiful hiking trails and plenty of outdoor activities on offer, or venture a little further out from the Resort for a ride along the beach. 19. Your African adventure begins the moment you touch down, when you embark on a safari that ends deep within the game reserve at Four Seasons Safari Lodge Serengeti. The Serengeti is home to roughly 70 mammal species and more than 500 types of birds, some of which will greet you on your drive to the Lodge. 20. In the Serengeti, even a swim can be an opportunity to get closer to wildlife. After a day of adventure, visit the Lodge’s infinity pool, where you can cool off and watch elephants frolic at a nearby watering hole. 21. Early risers can enjoy a unique viewpoint of the Serengeti during a sunrise hot-air balloon safari. After floating above the plains and spotting African wildlife, enjoy a Champagne breakfast in the bush. 22. Greet the day just outside the city in the Atlas Mountains, which you can explore on foot via hiking trails or atop a trusty mule or mountain bike. After you conquer the twists and turns of the rocky landscape, reward yourself with views of the rolling mountains and a traditional Moroccan lunch inside a Berber village. 23. In the evening, travel by horse-drawn carriage to the bustling square Jemma el Fna, where you can mix with locals and watch performances by snake charmers, acrobats and magicians. 24. While Saint George’s Castle can be seen from nearly anywhere in the city, the best views are arguably from behind the castle walls. Take a walking tour of the historic Moorish site, which dates back to the second century BC, and watch the sun set over the historic cityscape. 25. Venture outside the city to see Arrábida Natural Park. Pack a picnic lunch to enjoy spectacular views over the Atlantic Ocean and limestone cliffs, or relax in the shady valleys.